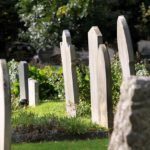 What do you think about cremation? I felt the need to name my blog. “Pastor’s Blog” is just weak (and, quite unimaginatively, common). Kerux Christou is a phrase from New Testament Greek meaning “herald of Christ,” i.e., a preacher. That’s me – pastor of Mt. Pleasant and Professor of Preaching at Trinity School for Ministry . And it’s a Greek phrase. I’ve spent over adecade as a Greek Language instructor (so Greek is appropriate). I thought it was a cool blog name too. I asked my wife what to call my blog and she suggested (with a good-natured and cute smirk) “Herb’s Blurbs.” Obviously a very different vein, but I like that too. Not only because it rhymes (which it does! ), but because it reflects a corrective to my pretense and reflects the more earthy and mundane nature of most of what I have to say. Let’s face it, most of the time I’m more a Herb’s Blurber than a Kerux Christouer anyway. And I spend most of my time with real people who are dealing with real life stuff. The juxtaposition of the two terms hopefully illustrates the kind of content you’ll find here - which will ideally be thought-provoking, spiritually enriching, and practically applicable for everyday, ordinary life.